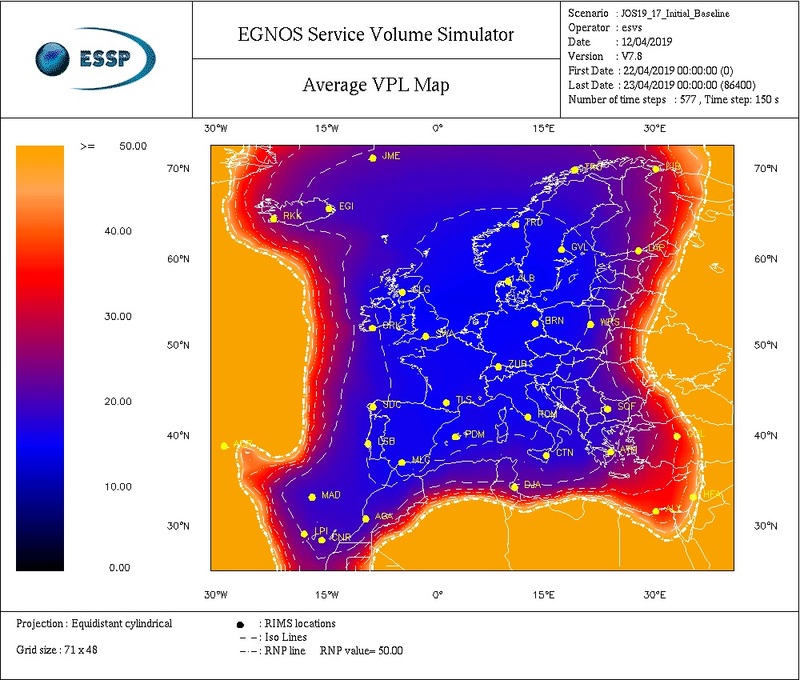 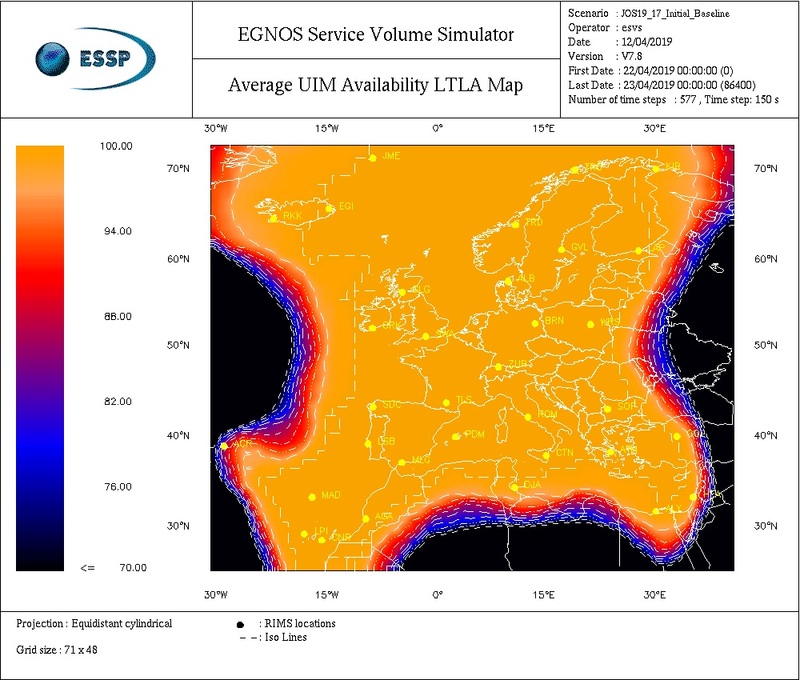 EGNOS APV-I Availability is defined as the percentage of epochs which the Protection Level are below Alert Limits for this APV-I service (HPL<40m and VPL<50m) over the total period. The pictures present the expected EGNOS APV-I Availability and the corresponding HPL and VPL for the Combined GEO satellites. 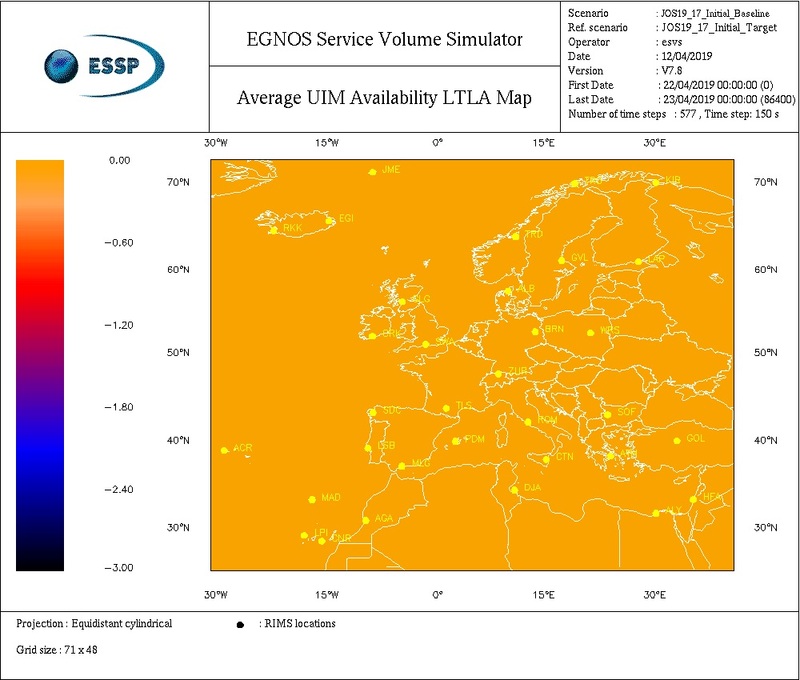 It can be observed also the corresponding APV-I Availability delta map showing the predicted underperformance for the selected day with respect to the nominal system status.